Rebuilt, refinished, new hammers, new dampers, new pins, new strings. 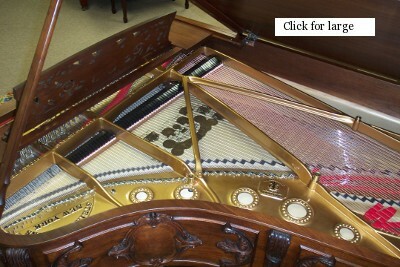 This piano has had one family ownership. It was made specially for one of the founders of an automotive empire. It was handed down through the family until we were able to require it. 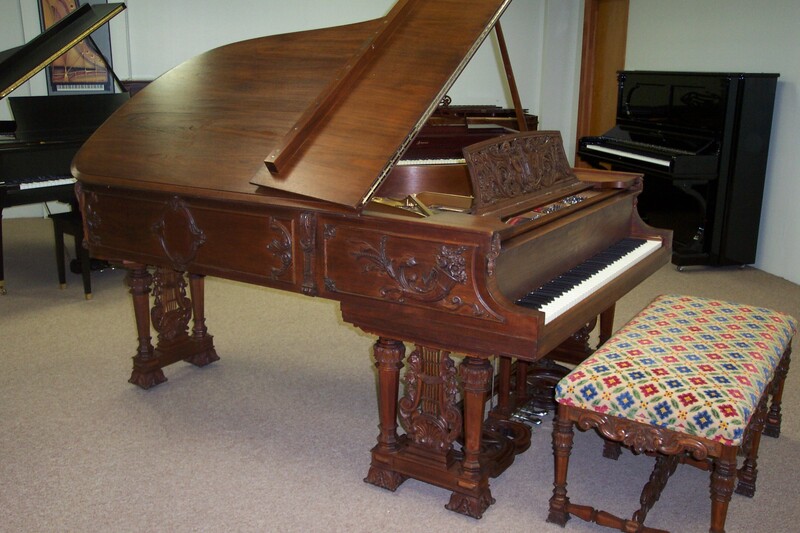 We have completely rebuilt it, restoring it to the original condition. 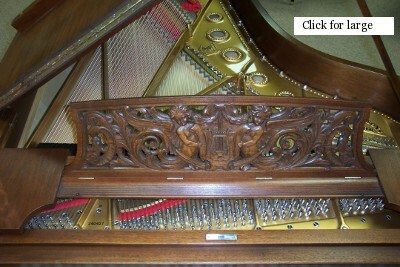 This was probably one of the last art case pianos made for a number of years because of the Great Depression. 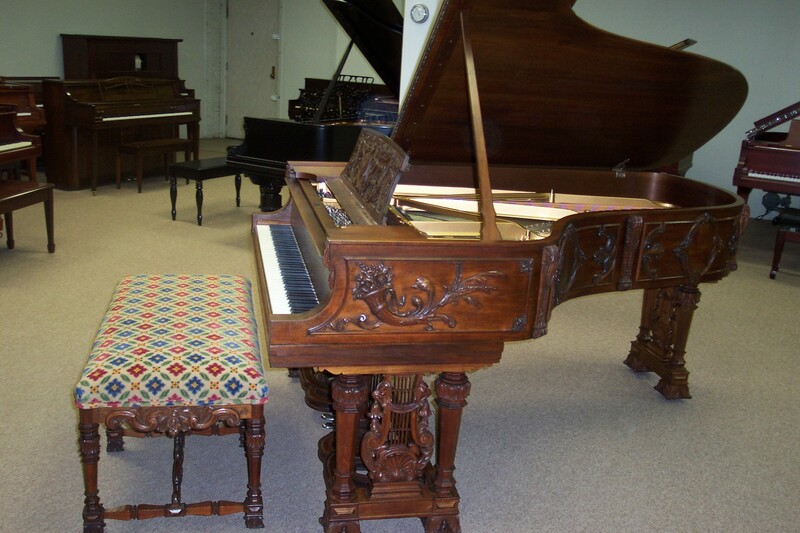 The Ayuso family, father and two sons, were also responsible for the elaboration of numerous pianos for Steinway & Sons. Juan Ayuso was a French citizen, born in Bordeaux to parents who had immigrated from the Basque region of Spain in 1848. Juan and his sons Eugene and Severo were principally wood carvers and their ornate designs reflect great craftsmanship in shaping instrument cases-including the wooden legs, pedal lyres, and music desks-into the most graceful and intricate forms. Each proposed elaborate design was given a sketch number and carefully logged into a large tome. A accounting of the process was kept by Juan Ayuso with the cost for labor and materials noted. 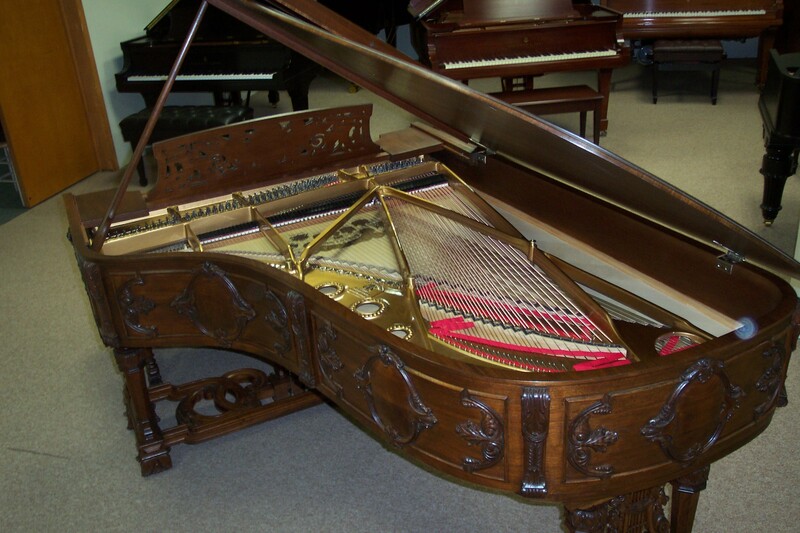 The Steinway firm received orders for “fancy pianos” from America’s illustrious and wealthy citizens: F. W. Woolworth, E. L. Doheny, Sen. Thomas F. Walsh, Henry G. Marquand, George J. Gould, Stanford White, Cornelius Vanderbilt, etc. They also produced decorated instruments for the crowned heads of European countries and influential and wealthy people throughout the world. 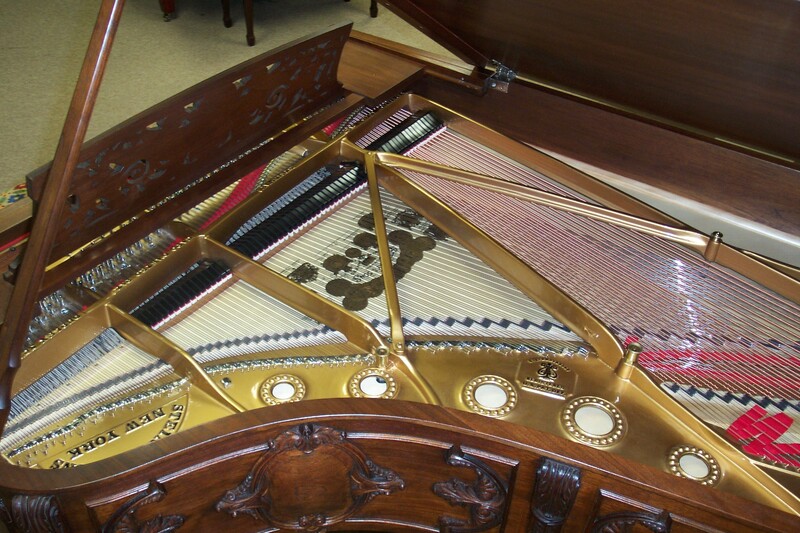 Art-Case instruments commanded very high prices. 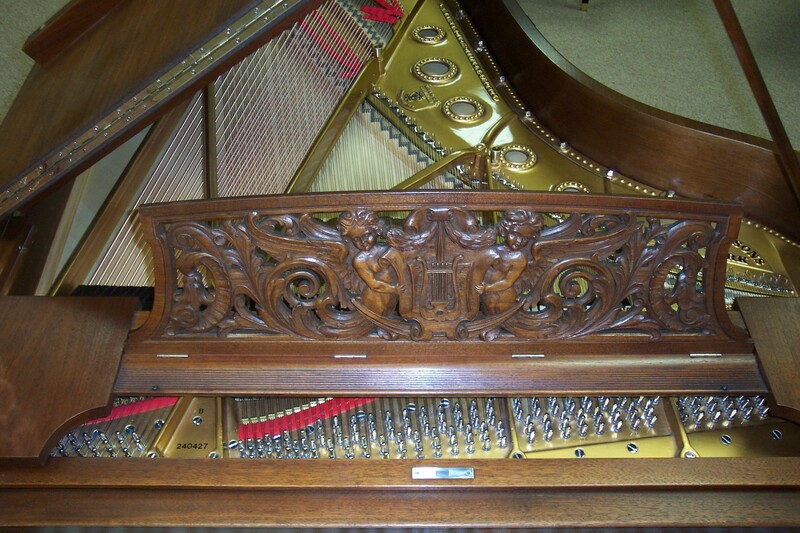 Surviving records for the E. L. Doheny piano show that it was an unusually expensive instrument: each of its decorative elements was custom made one-of-a-kind. 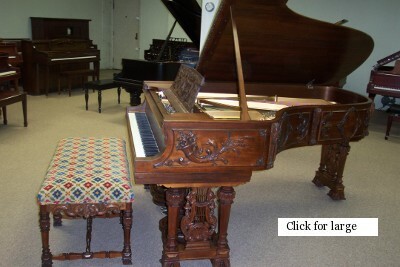 The original bill of sale for Steinway preserved in the Doheny estate, shows that the instrument cost over ten thousand dollars, a substantial sum in 1902. [ Over $270,000 todays dollar] The gold plated hardware certainly added to the price. 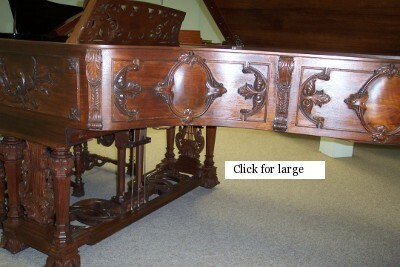 Initial research indicates this piano was shipped to Italy for the hand carving. 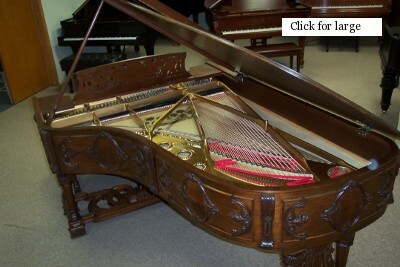 This was made during the “Golden Years” of Steinway.